It's time for another Creative Construction with Blueprints Challenge. This month the team was challenged to hit the waves with Blueprints 11. 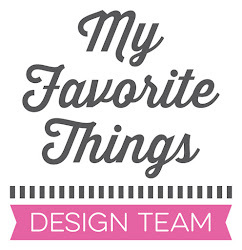 The Blueprints 11 Die-namics includes a fabulous curvy die and a few curvy sentiments. 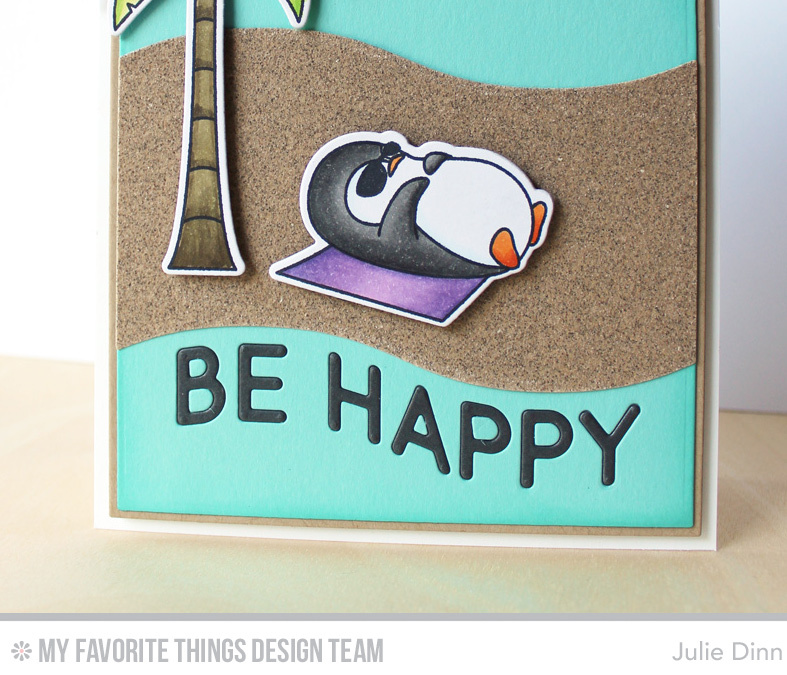 I paired this set of Blueprints with the new Penguins in Paradise stamp set and Die-namics to create a fun beach card. 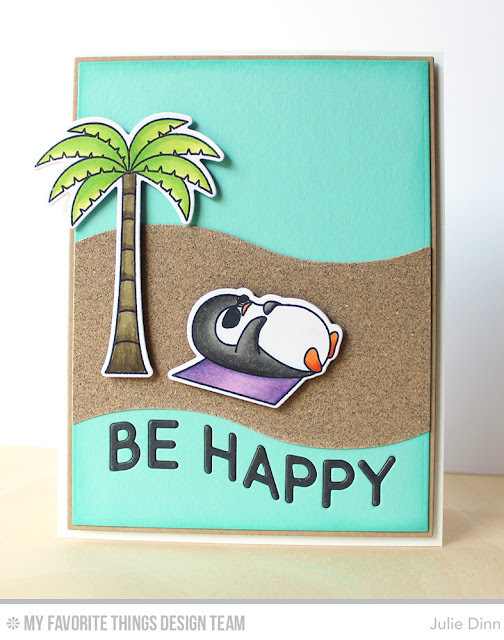 I cut the wavy panel out of sandpaper, I love using sandpaper to create the look and feel of sand on my beach cards. If you decide to try it yourself, just be sure to wipe the gritty bits off your dies once you finish cutting. The Be Happy was created with Steel Grey card stock that was inlaid in the Summer Splash card stock. The sweet penguin and palm tree were both stamped on X-Press It card stock with Black Licorice Hybrid Ink and were coloured with Copics. 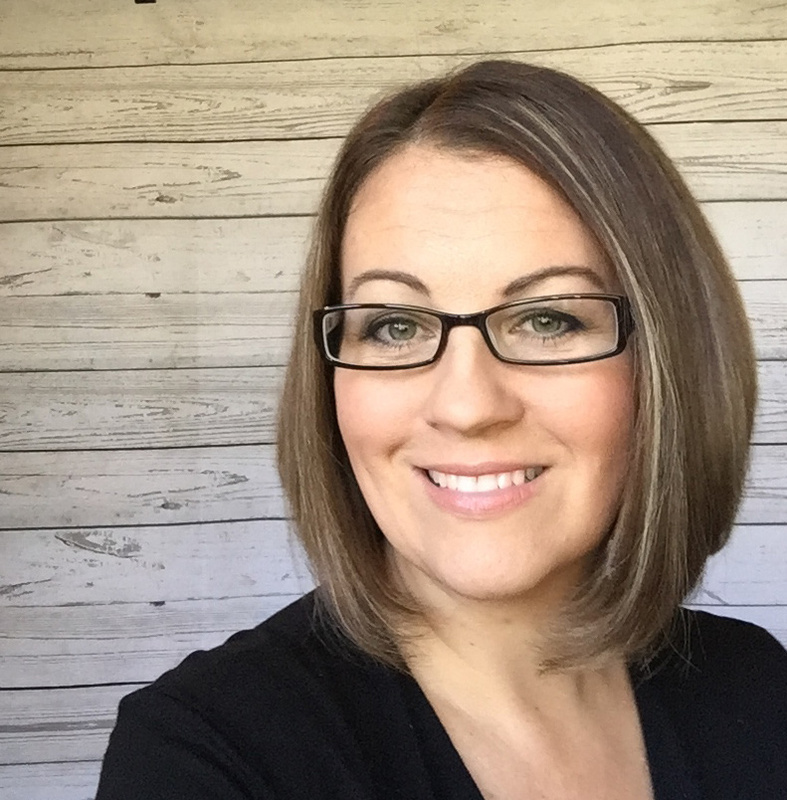 Be sure to check out the MFT Blog to see all the gorgeous creations the rest of the team has to share with you today. Clever you to use sandpaper for sand- the card makes me very happy!